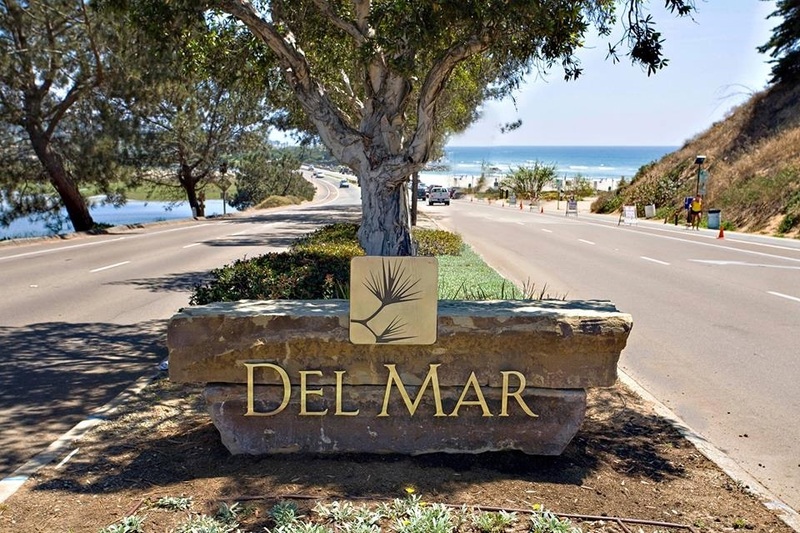 Del Mar (meaning “of the sea”) is a beach city in San Diego County. Along with the Del Mar Fairgrounds, home to the Del Mar Races and San Diego County Fair, the historic and charming Del Mar Village offers a variety of unique shops, renowned restaurants, and luxury and beach-style hotels. Saturday’s farmers’ market is also a great place to pick up the freshest and finest produce, flowers and seafood the region has to offer. Watch the sunset with a glass of wine at the Del Mar Plaza deck overlooking the Pacific Ocean. The entire Del Mar Village experience can be done without a car. The beach in Del Mar is one of the most beautiful and enjoyable in San Diego. The two plus miles of sandy beach offers a great place to relax, walk, or run. Two coastal parks, Powerhouse and Seagrove Parks, are located just above the 15th Street surf break; providing a great spot to picnic with friends and family. North Beach is affectionately called “Dog Beach” by dog owners, is located north of 29th Street and stretches nearly one half mile to our border with Solana Beach. The population is estimated at 19,873, including Old Del Mar and Del Mar Heights. Average income is $196,730. The average detached house in Del Mar is approximately $3,414,105.